Tess eventually wakes back in the room, alone. Nem stretches and yawns and ponders what to do with herself. She takes her time getting ready for the day, and reapplying her human disguise. When she's done, she'll wander down to the bar/desk and inquire as to whether anyone has left any messages for her (e.g. that guard who was looking into her pickpocketing). "Yes, yes, that's all well and good, but flash without substance is more suited to circus performers." "True, yet hard to avoid with a quick summary of what I can do in addition to an ordinary troubadour." "There is a warm up room in the back, let us retire there and you can run through some of what you intend to do." "Oh, sure we can do it a bit more privately." "You want to perform at the Gilded Arrow. Prove to me that I should let you." "Hmm, I'll start with the elven ballad, Lefiron the seeker. Holger slowly starts playing, adding some fitting tunes with minor illusion. As Holger gets into the music he adds a question. You clearly have a strong opinion of what you want on stage, any specific genres or types of performances you want on stage or avoid all together?" Randy agrees to the amount proposed and makes his payment. ((Amount deducted already)). He tells the tailor that he will check back in 3 days on his order, then heads out to the general store to find the others. Once there, he browses around. He wouldn't be against getting some additional/new rope and adding a grappling hook to his inventory. "Sorry miss, no notes for you." Heinrik silently regards Holger's performance. "You're skilled, I'll grant you that, but I'll tell you the same as I told those circus folk that wanted to put on a dinner set here. Folk come to the Gilded Arrow for the food, the drink, and the atmosphere. Performers are to add to the atmosphere, not detract from it. I no more want explosions of light and color from you than I want tumblers, bawdy dancers and fire eaters. If you can play a solid, respectable dinner show, we can see about a slightly more theatrical after dinner set in the future. Dinner choices should be instrumental with only minor vocal accompaniment -- do you sing? --, so as not to distract from patrons conversations and enjoyment of the meal. I leave your selection to you, but it should be easy to listen to and enjoy, and should avoid any subject matter that a reasonable person would deem to not be appropriate dinner conversation." "Yes, I've a hook and some rope, cost will be three gold for it with fifty feet of hemp rope." ((Yeah, she'll just be regular human Tess again, same as she's been for the vast majority of the game so far. She'd probably have let the Anello contact know her human form and her tiefling-ness tho, I just forgot at the time. She's aiming to be pretty honest in her dealings with them.)). She'll go and find some lunch and charge it to the room, recall Ily, and then head off to see if she can't spot herself a pickpocket at the market square, with the help of her friendly magical street-cat. Last edited by thinkslogically on Mon Apr 15, 2019 7:05 am, edited 1 time in total. Randy pays the agreed upon amount. "Yes I sing.. Shouldn't be a problem to keep within your parameters, got a good repetoire of elven songs that fits. I assume most people around here don't learn the elven language given the distance to their lands, so the vocals should blend with the instrument. I got a couple of companions I could bring if you are interested in expanding the performance with multiple instruments at some point. But we can discuss that once you feel comfortable that we can add to their conversation rather than distract from it." You smooth the creased, crumpled note, and see that it is a list... or bad poetry? Both of the lines have been crossed out. 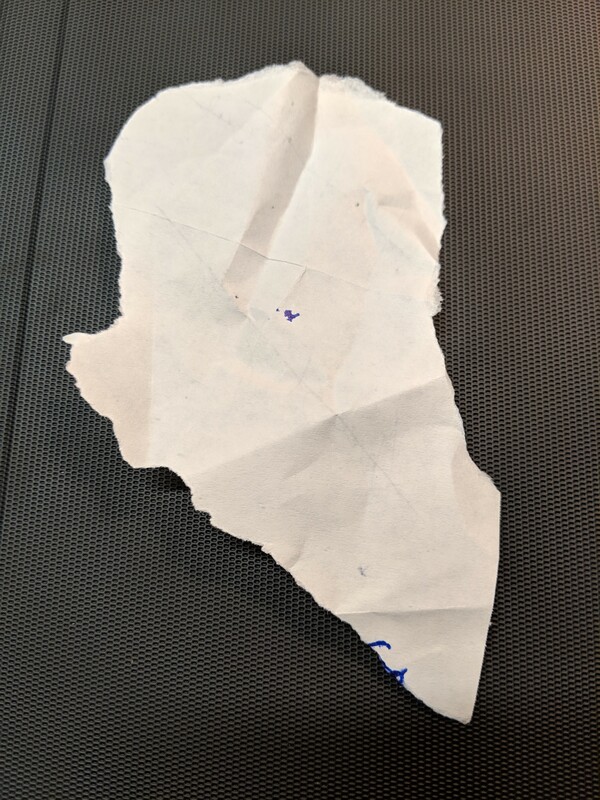 You do notice there are smudges or bits of blue ink on the edges of the paper, and turning it over, notice some more on the back. Heinrik puts his forehead in his palms. "Elven songs?! ", he says in a pained voice, his pitch climbing a few octaves. "Why not some dwarven war ballads while you're at it? Perhaps one where they sack a castle, butcher everyone inside and haul it stone by stone to their mountain hold?" He waves a his frustrated hands at you. "Just play some normal music. You must know Dentauth's "Suite for the Seasons"? Play that, alright? You can have tomorrow's dinner shift, I had a cancellation." The paper is crumpled, but those look like deliberate creases... Can the paper be folder to align the blue ink? 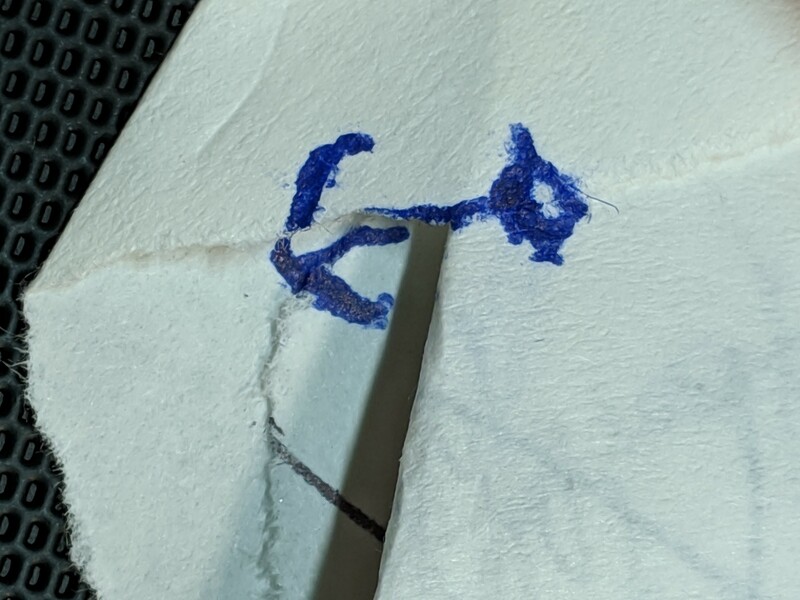 I'm thinking like an origami puzzle of some form that will either make a shorter message out of the two lines, or create a symbol out of the blue ink (or both). It would seem to be a message from your one legged acquaintance from this morning, though perhaps slipped into your pocket by an associate of his unless he's able to get around on those crutches much more stealthily than you gave him credit for. 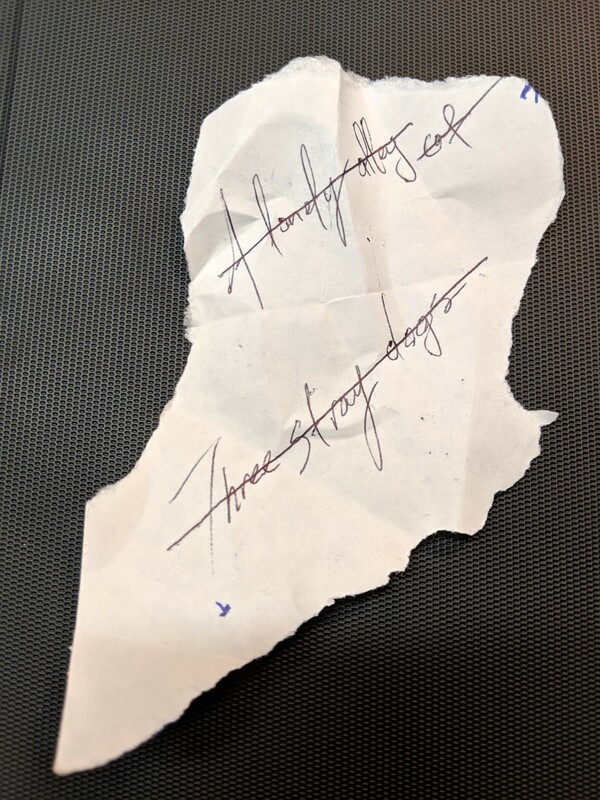 What then might "a lonely alley cat" and "three stray dogs" refer to, and why were they both crossed out? What does the message look like now the papers been folded? It's folded up inside, it would seem the message is the message, with a mark intended to let you know its source. Nem walks around the market square in one direction, sending Ily in the other while she looks for any sign of three stray dogs (or kids, or people with dogs, or anyone who looks like they're dressed or marked similarly and who add up to a trio). Shell tell him to come find her or yowl if he sees anything that relates to "three stray dogs". Nothing jumps out at you or Ily as bearing on the contents of the note. Perhaps it is referencing another cat, or just might warrant another face to face to get the details? Well, I was going to just ask for a hint, but I think Nem might have just had a moment of inspiration.. In which case, the "dogs" in the note are crossed out too... also dead? "Stray" must mean that the one legged guy is disavowing any connection to them, perhaps implying that they were put down? If that's the case, it would imply that Kreldoran's associate was killed by three non-Anello murderers, who were in turn killed. But if what Holger suggested is true, why would the guards be covering things? The shopkeep brings Randy his rope and grappling hook.